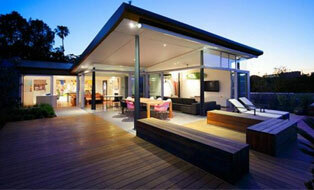 If you need more living space or want to beautify and increase the value of your home, a pergola is the ideal solution. Pergolas create stunning entertaining areas and when roofed, a pergola extends your living space for a fraction of the cost of house extensions and can be used all year round. Pergolas can be freestanding or attached to an existing building or deck and can be open or roofed. If you require a roof for your pergola there are a number of options available; The most popular being polycarbonate which depending on degree of tint, allows natural light whilst reducing harmful UV. Another popular choice is a combination of metal and polycarbonate roofing to provide both cool shaded areas with the addition of targeted natural light. Shelter yourself from the elements with a detached, freestanding pergola. 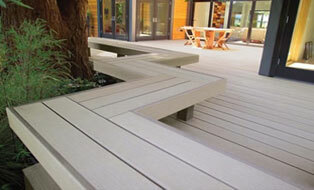 Ideal in situations where the structure cannot be fixed to the house or a deck. Exposed open pergolas have multiple benefits from open cover options to exposed feature beams. 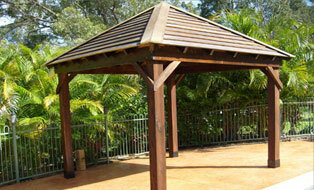 Various options for covering an exposed pergola include battens, vines and shade cloth. If required, an exposed pergola can be partially, or fully roofed in poly carbonate or metal roof sheeting to reduce the impact of the elements. 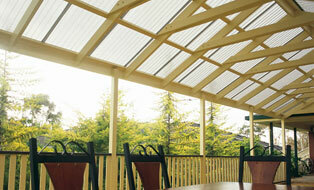 Extend your outdoor lifestyle with polycarbonate roofing. Made in Australia and designed and tested for our unique conditions, it provides 99.9% protection from harmful UV rays. 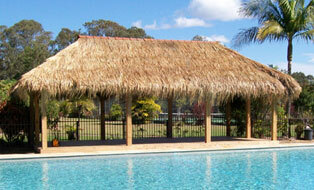 Metal roof pergolas provide complete protection from the elements, reducing the heat and providing shade and comfort. Depending on the location of the pergola, a mixture of polycarbonate sheets will increase light into rooms and living areas. 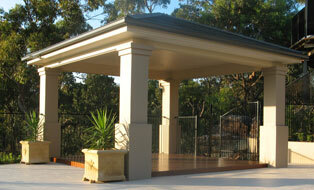 Feature gazebos are the ultimate outdoor, deluxe freestanding covered entertaining solution. The structure is typically fully lined, and provides a touch of class to the landscape. 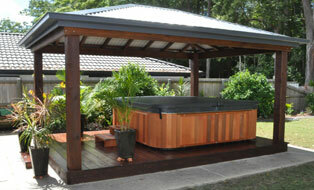 Extend your outdoor living with a metal roof gazebo, ideal for outdoor entertaining. The Rustic, natural charm of a timber gazebo will soften your landscape and provide a tropical touch to your entertaining area. Bali huts and Bali pavilions have traditionally been used by the Balinese as places of relaxation and shelter from the intense tropical sun. They are cool and breezy and make an ideal garden or backyard feature. 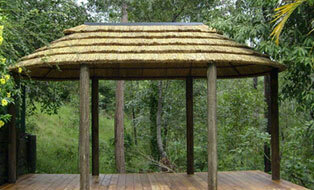 African reed thatch gazebos are available in round, oval and rectangle models, made from the finest materials.